How could attending BBQ & Blue Jeans with my friends while enjoying delicious BBQ, cold beer, wine, and live music protect the children in my life? Let me tell you. 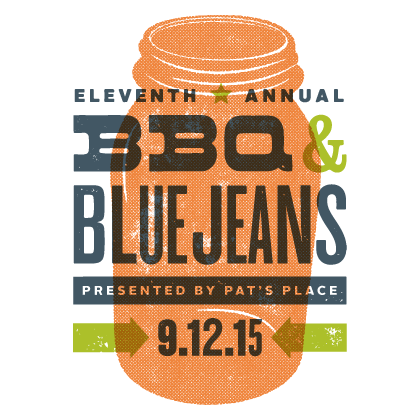 BBQ & Blue Jeans is Pat’s Place’s largest funding source allowing us to serve over 3,900 children in 10 years. In Mecklenburg County, Pat’s Place is the only child advocacy center where children who are suspected victims of sexual abuse receive the support and treatment they need while partnering investigative agencies gather evidence to stop the abuse. Services include family advocacy, court support, forensic interviewing, prevention and education, trauma-informed therapy, and medical evaluation. You still may be wondering, how does making an appearance at BBQ & Blue Jeans protect children? 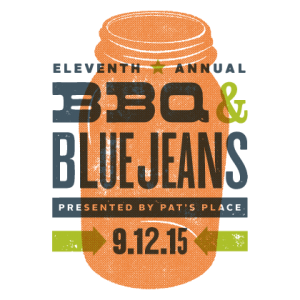 Last year alone BBQ & Blue Jeans contributed close to 20% of the organization’s operating budget. Statistics show that 1 in every 10 children will be sexually abused. Pat’s Place and partners work tirelessly towards the vision of ending sexual abuse in Mecklenburg County. These efforts affect all of us, our community, and all of the children in our lives. The funds raised through BBQ & Blue Jeans and other community initiatives allow Pat’s Place to get one step closer towards extinguishing this silent epidemic of abuse. Are you ready to support and protect? Purchase your ticket today! Here is a little more about the event. The BBQ will be held September 12, 2015 from 6:30 – 9:30pm in the backyard of Mark and Joan Erwin. The ticket includes beer, wine, delicious Midwood Smokehouse BBQ, and live music. To learn more and to purchase your tickets please visit the BBQ & Blue Jeans website at www.patsplacecac.org/bbq. Tickets are sold online only and the event is expected to sell out.